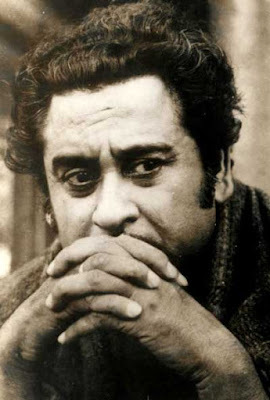 The great Indian playback singer and actor Kishore Kumar (1929 - 1987) had many talents. He was a creative man throughout his life. However he had roller coaster of moods and impulses that affected his relationship with others sometimes impacting his professional career. Those who knew him reported that at times Kishore Kumar had unusual behavior patterns. Considering these evidences one can merely conclude that Kishore Kumar may have suffered from Cyclothymia. Cyclothymia is a relatively mild mood disorder. In cyclothymic disorder, moods swing between short periods of mild depression and hypomania, an elevated mood. The low and high mood swings never reach the severity of major depression or full mania. Cyclothymia is characterized by fluctuating low-level depression along with periods of hypomania. The highs of cyclothymia include symptoms of an elevated mood (hypomanic symptoms). The lows consist of mild or moderate depressive symptoms. The German psychiatrist Ewald Hecker first used the term “cyclothymia in 1877. Historically, cyclothymia has been used broadly to refer either to a temperament or the entire range of bipolar disorders (van Valkenburg et al., 2006). The DSM-IV and ICD-10 define "cyclothymia" or "cyclothymic disorder" as a long lasting, sub-affective disorder with frequent shifts between hypomanic and (sub) depressive states (Brieger & Marneros, 1997). Cyclothymia is best identified as an exaggeration of cyclothymic temperament (basic mood and emotional instability) with early onset and extreme mood reactivity linked with interpersonal and separation sensitivity, frequent mixed features during depressive states (Perugi et al., 2015). Howland and Thase (1993) believed that some forms of cyclothymia are strongly associated with bipolar disorder. Akiskal et al (2003) stated that Depressions arising from a cyclothymic temperament-even when meeting full criteria for hypomania-are likely to be misdiagnosed as personality disorders. In Kishore Kumar’s case he seemed to have most of the symptomatology of cyclothymia. He had periods of euphoria, periods of depression, irritability and agitated behavior etc. Kishore Kumar married four times and had unstable relationships. Following behavior indicate Kishore Kumar’s unusual mental state. Kumar is said to have been paranoid about not being paid. During recordings, he would sing only after his secretary confirmed that the producer had made the payment. On one occasion, when he discovered that his dues had not been fully paid, he appeared on set with makeup on only one side of his face. When the director questioned him, he replied “Half make-up for half payment” (Filmfare 1–15 November 1987). According to another reported incident, once Kumar was due to record a song for producer-director G. P. Sippy. As Sippy approached his bungalow, he saw Kumar going out in his car. Sippy asked Kumar to stop his car but Kumar increased his speed. Sippy chased him to Madh Island where Kumar finally stopped his car near the ruined Madh Fort. When Sippy questioned his strange behavior, Kumar refused to recognize or talk to him and threatened to call the police. The next morning, Kumar reported for the recording session. An angry Sippy questioned him about his behaviour the previous day but Kumar said that Sippy must have dreamt the incident and said that he was in Khandwa on the previous day (One evening with Kishore Kumar Khandwewala". India FM. 1 February 2007). Once, a producer went to court to get a decree that Kumar must follow the director's orders. As a consequence, he obeyed the director to the letter. He refused to alight from his car until the director ordered him to do so. After filming a car scene in Mumbai, Kumar drove until he reached Khandala because the director forgot to say "Cut" (Valicha, Kishore (1998) . Kishore Kumar: The Definitive Biography. Penguin Books). Kishore Kumar had put a "Beware of Kishore" sign at the door of his Warden Road flat, where he stayed for some time while his bungalow was being done up. Once, producer-director H. S. Rawail, who owed him some money, visited his flat to pay the dues. Kishore Kumar took the money, and when Rawail offered to shake hands with him, he reportedly put Rawail's hand in his mouth, bit it, and asked "Didn’t you see the sign?". Rawail laughed off the incident and left quickly. Kishore Kumar was a loner; in an interview with Pritish Nandy (1985) he said that he had no friends—he preferred talking to his trees instead. Once, when a reporter made a comment about how lonely he must be, Kishore Kumar took her to his garden, named some of the trees there and introduced them to the reporter as his closest friends (Valicha, Kishore (1998). Professor Giulio Perugi University of Pisa, Institute of Behavioral Sciences "G.DeLisio", Pisa, Italy (Personal Communication, 2016) surmises that Kishore Kumar may have had Cyclothymia. In addition he had hypomanic and depressive period of the Bipolar II type. Professor Giulio Perugi further states that this is the most common combination among artists and very creative people. Anna Van Meter -Assistant Professor of psychology at the Ferkauf Graduate School of Psychology (Personal Communication , 2016) states that the description of Kishore Kumar does sound consistent with a mood or psychotic disorder. If he met diagnostic criteria for mania and/or major depression at any point, then it is likely that he had bipolar I or II, rather than cyclothymic disorder. The psychotic symptoms might also be explained by one of these diagnoses, if they occurred only within a mood episode – otherwise, it may have been schizoaffective disorder. Without knowing more about the chronicity (versus distinct episodes) and severity of Mr. Kumar’s symptoms, it is hard to say which diagnosis fits best. Akiskal HS Hantouche EG, Allilaire JF. (2003).JBipolar II with and without cyclothymic temperament: "dark" and "sunny" expressions of soft bipolarity. Affect Disord. ;73(1-2):49-57. Brieger, P., Marneros A.(1997). [What is cyclothymia?].Nervenarzt. ;68(7):531-44. Howland RH1, Thase ME. (1993).A comprehensive review of cyclothymic disorder.J Nerv Ment Dis. ;181(8):485-93. Perugi, G ., Hantouche, E ., Vannucchi, G ., Pinto O. (2015).Cyclothymia reloaded: A reappraisal of the most misconceived affective disorder.J Affect Disord. 1;183:119-33.
van Valkenburg, C ., Kluznik, J.C., Speed, N., Akiskal, H.S. (2006).Cyclothymia and labile personality: is all folie circulaire?J Affect Disord. ;96(3):177-81. Some VIP has weird behaviors. This is the first time I heard this kind of facts about him. "One of the best singer ever born in Hindi cinema"
what an idiot comment about the hindi bollywood cinema. People think they know everything but they don't know anything about bollywood. Get a real haircut and get a real job before you comment things like this. If it is so, why don't you give a good account on Bollywood Cinema which relevant to this blog topic instead of crying like this? "instead of crying like this?" How did we check whether we also suffer from some kind of unknown mental disorder? I feel I'm 100% mentally healthy and fit and all my friends, colleagues and co-workers doesn't say anything. But even though we also might suffer from some minor mental disorder isn't it? Any easier methods to self-checking mental status? Kindly advise me. You cannot disagree with that ha ha. I think loneliness plays a big part in these conditions. Sometimes it is hard to believe celebrities of this calibre get lonely. You can have many friends, admirers, companions with them but if they cannot connect with your heart and soul, it's a misery. Have you written any blog writing about sociapaths or the psychiatric condition which makes a human to be a sociapath in sinhalese? If you have could you please give me the link or clue to find it in your blog archive. Appriciate your help in this regard.